Kids all love personalised clothes, don't they? Tilly is no different, she likes to be able to use her imagination and personalise things. So when we were offered a personalised hoodie from Love Millie, Tilly knew she wanted to have her YouTube name put on it. she has her own channel and I guess she has seen me advertise my own blog, so she wanted to get her channel seen. We went on the website and chose a hoodie, then you choose the size. Tilly is 7, but she usually wears age 9 clothes so we opted for age 9-11. You choose the colour (Tilly's favourite colour is blue, so we chose brilliant blue). 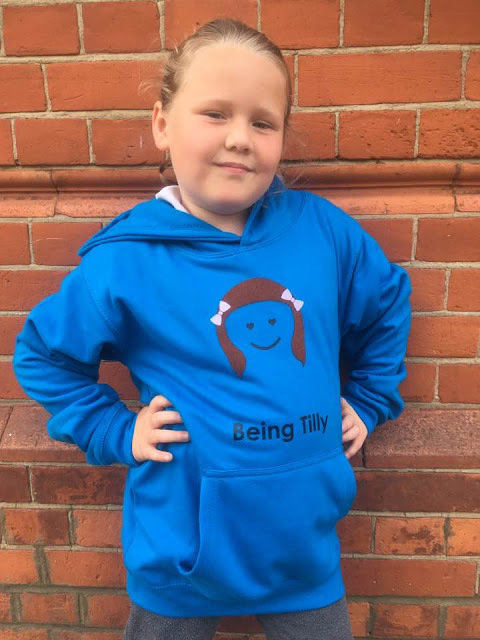 You choose your hair style, I chose long hair for Tillys one and brown hair, this looked similar to Tilly and then you choose their face ( I chose and emoji face because that's important when you are 7 years old), accessories like bows or glasses and finally you choose the name that you want to be added. You can choose your child's name or nick name. Or even another word such as Sister or the name of a pre school. When you have designed the garment, you simply got to the basket and before you pay, you get a chance to double check your order for any mistakes and if you're not sure of the design, you can change it slightly. If you're happy, then you can go ahead and pay for it. The delivery literally takes a couple of days. So What Was It Like In Real Life? 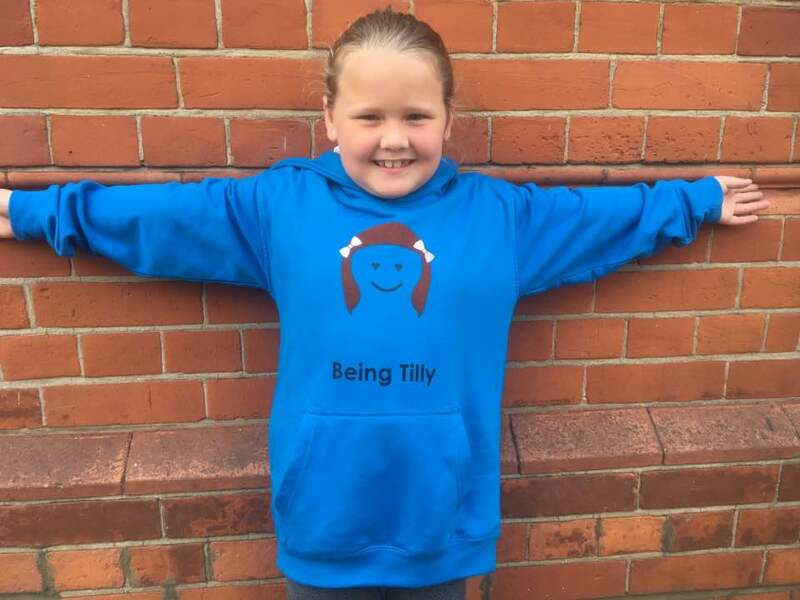 The hoodie is made of good quality material and even though it has been washed a few times now (it is Tilly's favourite jumper) and it hasn't gone out of shape or shrunk. There are no signs of it bobbling and it still looks like new - But we didn't tumble dry it! 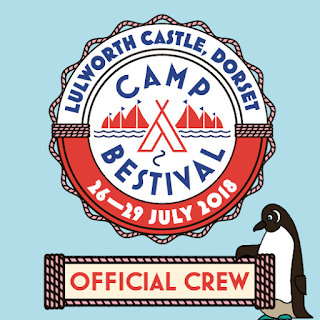 The image on the front is exactly as it is on the computer when you're designing it and it is just too cute. The hair is made of the fuzzy felt fabric and as Tilly's hair is quite frizzy and fuzzy, it seems to be quite fitting for her. The hoodie is very good value because I have paid £26 for a jumper for her in a store before, but it is nowhere near as fun as this one. This is personal to her and she knows that nobody else has a top like her. The hoodie has a big pocket on the front, and there is a hole in the back of the pocket fabric, this is so that your child can have their iPod or the phone in their pocket and feed their earphones through the hole and up to their ears. This keeps their phone hidden and they still get to enjoy their music, probably more aimed at the older children. 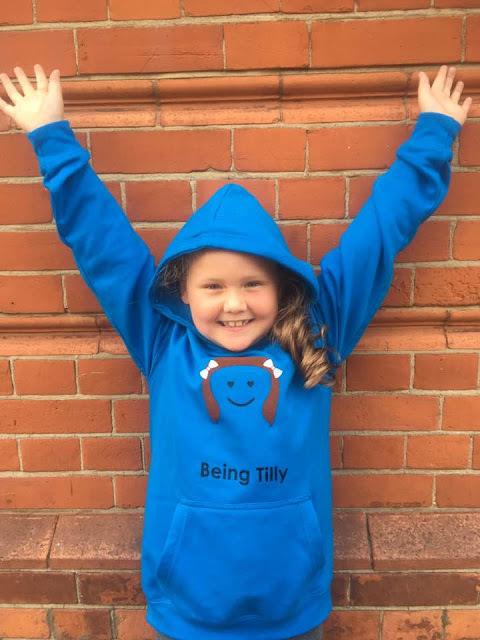 Tilly loves her new hoodie and she wears it everywhere! 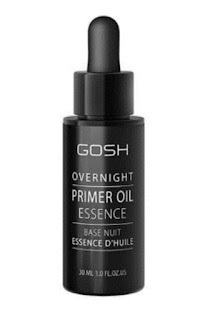 It is thick, warm and never went out of shape or colour faded when it was washed. 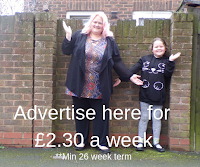 Why not try them out for yourself, they also do t-shirts that are perfect for the summer from £18.00 as well as accessories like baseball caps and bags. There is a section for you to get in touch if you run a group or club, just leave your details and they will get back to you. 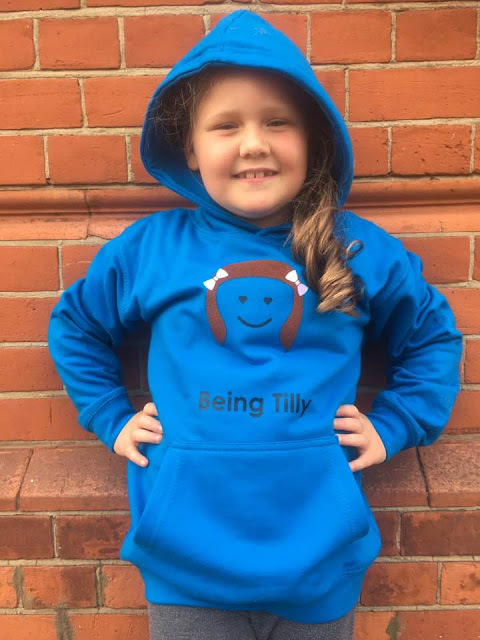 Tilly's hoodie will cost you £26.00 and it is a bargain!